Recent grid outages coupled with increasingly frequent extreme weather events and increasing use of renewable energy resources are boosting calls on government and regulatory authorities to institute policies conducive to faster and higher volume deployment of battery-based energy storage management systems (BESS). Responding to grid outages in South Australia, Tesla CEO Elon Musk touched off a Twitter “storm” this week when he said the company could solve the problem within 100 days. Musk’s pledge that Tesla would install as much as 300 megawatts (MW) of lithium-ion BESS capacity within that time frame or do the work for free galvanized politicians, the industry and broad public and led to a meeting with Australian PM Malcolm Turnbull. Despite sharp declines, the cost of installing Li-ion battery storage remains high. By and large, existing regulatory frameworks limit the extent to which they can be applied and economically compete with conventional grid technology. Proponents point out that there are substantial, unaccounted for social and environmental benefits to be gained by deploying BESS; particularly when it comes to integrating BESS with distributed renewable energy assets, however. 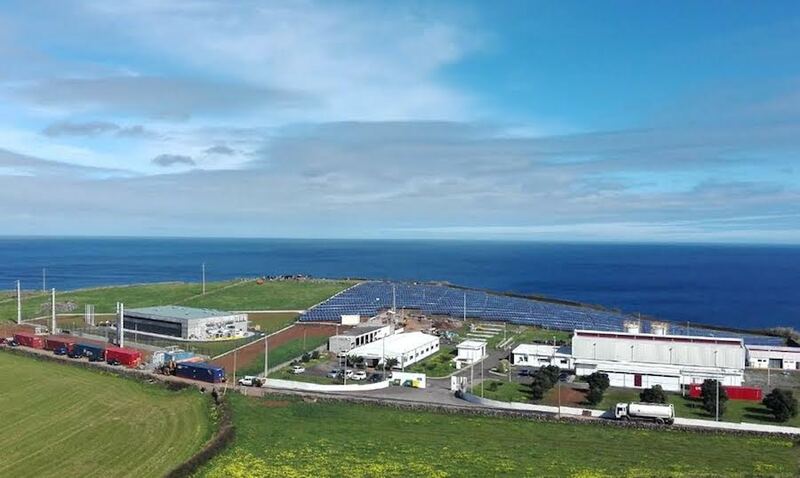 Analyzing the life-cycle impacts of all the components incorporated in “the world’s first megawatt-scale, grid-forming battery system,” German research institute Forschungszentrum Jülich determined that the distributed energy resource management/storage system (DERM) deployed by Younicos on the Portuguese Atlantic island of Graciosa will reduce overall environmental impacts by around 43 percent. In a peer-reviewed research paper, F. Jülich analyzed the life-cycle costs and impacts of the Graciosa wind and solar-powered microgrid as compared to the current diesel-fueled power grid, including the cost of inputs, such as raw materials, and outputs, including greenhouse gas (GHG) emissions. In addition to predicting a 43 percent reduction in environmental impacts, the research institute found that residual diesel-fueled power generation accounts for 60 percent of what remains. In contrast, the remaining environmental impacts associated with construction and operation of the 4-MW hybrid renewable BESS system accounts for only 6 percent. The 4.5-MW wind and 1-MW PV solar parks account for 18 and 14 percent, respectively. 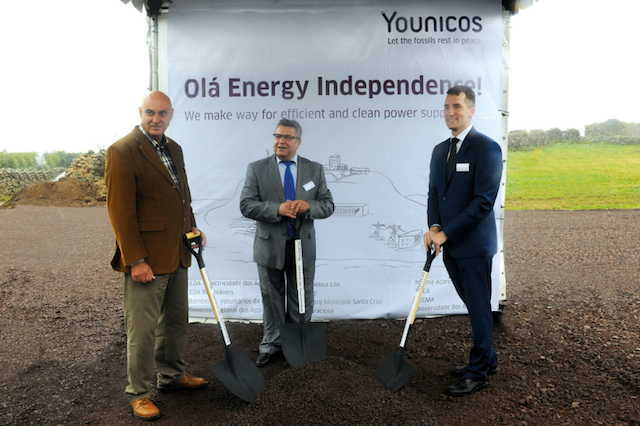 Younicos pioneered development of Graciosa’s 3.2 megawatt-hour (MWh) grid-forming battery system. By incorporating interactive, adaptive Li-ion battery storage with emissions-free but variable wind and solar power generation, the system is able to provide 24×7 “baseload” power supply with the capacity to meet 65 percent of island-wide electricity demand, according to project partners. The Li-ion BESS provides multiple system services for the island grid, including frequency and voltage control, and “black start” capability. As a result, diesel generators are only needed as a back-up. 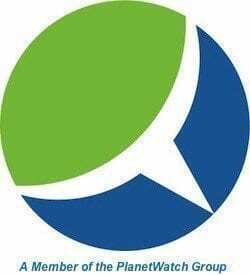 Furthermore, island residents are saving on diesel fuel imports, as well as improving human and environmental health, quality and safety, Younicos highlights. “We’re grateful for the clearly positive results of this in-depth research, which is further proof of what has been our conviction all along: Intelligent batteries are the best driver of a cleaner, more efficient power supply”, commented Younicos CEO Stephen L. Prince. F. Jülich’s study is to be presented at the 11th International Renewable Energy Storage Conference/Energy Storage Europe which kicked off today in Dusseldorf, Germany.